iPhoneFreakz _ All The Latest And Greatest iPhone News » Apple Holds Sale on Movie Collections in U.S.
Apple is currently holding a sale on movie bundles in the U.S. iTunes Store, offering heavy discounts on collections of both SD and HD versions of films. The collections include popular franchises such as the Lord of the Rings, Harry Potter, and Spider Man and can be downloaded for as little as $9,99. 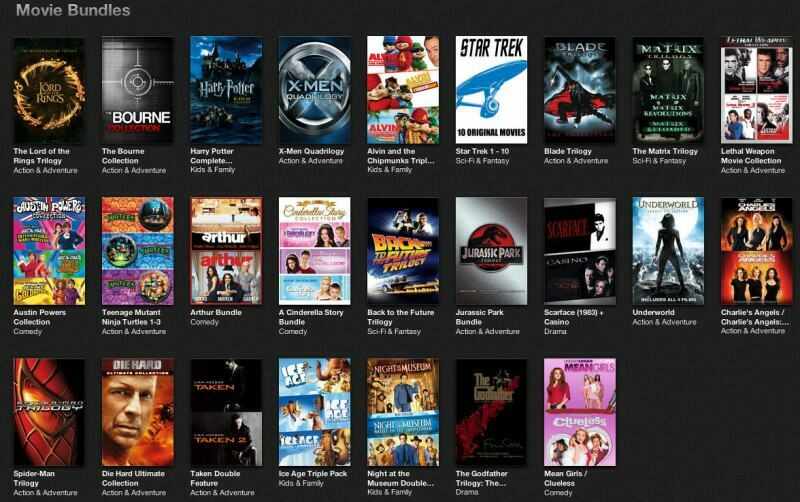 \\ tags: apple, Bundles, discount, iTunes Store, Movie Collection, U.S.